Paul Hellyer is a former Canadian Minister for National Defense (1963-1967) in the Cabinet of Lester Pearson and Senior Minister in the cabinet of Pierre Trudeau (1968-1969). While Minister for Defense, the occasional UFO sighting report crossed his desk, he claims to never have had time for what he considered to be a "flight of fancy. "While Minister for Defense, he was guest of honor at the opening of the world's first UFO landing pad at Alberta, Canada in 1967. Though interested in UFOs he did not give much thought to UFO's having serious policy implications. His position dramatically changed after reading Philip Corso's The Day After Roswell. He contacted a retired United States Air Force General and spoke to him directly to verify Corso's claims. The unnamed General simply said: "every word is true and more".Finally convinced that the UFO phenomenon was real he decided to come forward and speak at the September 2005 Exopolitics Toronto about some of the "most profoundly important policy questions that must be addressed." The key policy questions Mr Hellyer addressed concern the possible targeting of extraterrestrial visitors with space weapons. These questions are vitally important for exploring the implications of visiting extraterrestrial civilizations and world peace. Paul Hellyer holds one of the longest and most varied political career in Canada's history. He was first elected as a Liberal in 1949 federal election in the district of Davenport, he was the youngest person ever elected to that point in the Canadian House of Commons. He served a brief stint as Parliamentary Assistant to the Minister of National Defence, and made a good impression. He was then named Associate Minister of National Defence in the cabinet of Prime Minister Louis Saint-Laurent. He lost his seat when the Saint-Laurent government lost the 1957 election a few months later. Hellyer returned to parliament in a 1958 by-election in the neighboring district of Trinity, and became an effective opposition critic of the John Diefenbaker's Progressive Conservative government. When the Liberals returned to power in the 1963 election, Hellyer became Minister of National Defence in the cabinet of Lester B. Pearson. As Minister of Defence, he oversaw the controversial integration and unification of the Royal Canadian Navy, Canadian Army, the and the Royal Canadian Air Force into a single organization, the Canadian Forces. Hellyer contested the 1968 Liberal leadership convention, placing second on the first ballot, but slipping to third on the second and third ballots, and withdrawing to support Robert Winters on the fourth ballot, in which Pierre Trudeau won the leadership. He then served as Trudeau's Transport Minister, and was Senior Minister in the Cabinet, a position similar to the current position of Deputy Prime Minister. Hellyer resigned from cabinet and the Liberal caucus in 1969 over a dispute with Trudeau over funding for a housing program. He sat as an independent for several years. After his 1971 attempt to form a new political party, Action Canada, failed, Progressive Conservative leader Robert Stanfield invited him to join the PC caucus. He returned to prominence as an opposition critic and was re-elected in the 1972 election as a Progressive Conservative. He lost his seat, however, in the 1974 election. He contested in the PC leadership convention of 1976. He rejoined the Liberal Party in 1982, but remained mostly silent in politics. In 1988, he contested the Liberal nomination in the Toronto district of St. Paul's, losing to Aideen Nicholson. In 1997, Hellyer formed the Canadian Action Party (CAP) to provide voters with an economic nationalist option following thecollapse of the National Party of Canada. Hellyer was concerned that both the Progressive Conservative and Liberal parties were embracing globalization, and that the New Democratic Party was no longer able to provide a credible alternative. CAP also embraced Hellyer's proposals for monetary reform: that the government should become more involved in the direction of the economy by gradually reducing the creation of private money and increasing the creation of public money from the current ratio of 5% public / 95% private back to 50% public and 50% private. Under the CAP Hellyer lost bids for a seat in the Canadian House of Commons in the 1997 and 2000 elections. Following the 2000 election, and a resurgence for the New Democratic Party, Hellyer approached NDP leadership to discuss the possibility of merging the two parties into 'One Big Party'. This process was furthered by the passage of a unanimous motion at the CAP's convention in 2003. In early 2004, after several extensions of the merger deadline, the NDP rejected Hellyer's merger proposal which would have required the NDP to change its name. Hellyer resigned as CAP leader, but remains a member of the party. On 3 June 1967, Hellyer flew in by helicopter to officially inaugurate an Unidentified flying object landing pad in St. Paul, Alberta. The town had built the landing pad as its Canadian Centennial celebration project, and as a symbol of keeping space free from human warfare. The sign beside the pad reads: "The area under the World's First UFO Landing Pad was designated international by the Town of St. Paul as a symbol of our faith that mankind will maintain the outer universe free from national wars and strife. That future travel in space will be safe for all intergalactic beings, all visitors from earth or otherwise are welcome to this territory and to the Town of St. Paul." Throughout his life, Hellyer has been opposed to the weaponization of space. He supports the Space Preservation Treaty to ban space weapons. In early September 2005, Hellyer made international headlines by publicly announcing that he believed some UFOs were of extraterrestrial origin. On 25 September 2005, he was an invited speaker at an exopolitics conference in Toronto, where he told the audience that he had seen a UFO one night with his late wife and some friends. He said that though he discounted the experience at the time, he had kept an open mind to it. He said that he started taking the issue much more seriously after watching ABC News' "Peter Jennings Reports UFOs: Seeing is Believing" special in February 2005. Watching Jennings' report prompted Hellyer to finally read U.S. Army Lt. Colonel Philip J. Corso's book The Day After Roswell about the Roswell crash Incident which had been sitting on his shelf for some time. Hellyer told the Toronto audience that he later spoke to a retired Air Force General who confirmed the accuracy of the information in the book. Hellyer told the audience that in December 2004, he had enjoyed reading and had endorsed a book by Alfred Webre titled: Exopolitics - Politics, Government and Law in the Universe. He ended his 30 minute historical talk with a standing ovation by stating: "To turn us in the direction of re-unification with the rest of creation the author is proposing a “Decade of Contact” – an “era of openness, public hearings, publicly funded research, and education about extraterrestrial reality”. In 2007, the Ottawa Citizen reported that Hellyer is demanding that world governments disclose alien technology that could be used to solve the problem of climate change. "I would like to see what (alien) technology there might be that could eliminate the burning of fossil fuels within a generation ... that could be a way to save our planet," Hellyer told the paper. He also said that "We need to persuade governments to come clean on what they know. Some of us suspect they know quite a lot, and it might be enough to save our planet if applied quickly enough." 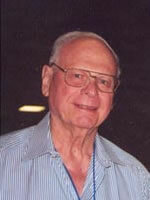 In 2008, Paul Hellyer won the PRG Courage in Politics Award. In March & April 2015 he was the keynote speaker in the Disclosure Canada events, which also include Stephen Bassett, Richard Dolan, and Victor Viggiani.